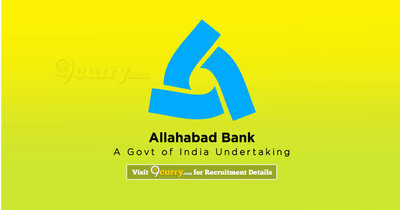 Allahabad Bank Recruitment 2019: Allahabad Bank / www.allahabadbank.in is conducting recruitment processes to fill 92 vacancies. As of now, there is one recruitment drive going on for Apply Online for 92 Specialist Officer Posts. Allahabad Bank Recruitment 2019 - Apply Online for 92 Specialist Officer Posts in Allahabad Bank, Across India. Online Applications are invited by Allahabad Bank from 09 Apr 2019 to 29 Apr 2019 for 92 vacancies.